Larger SURVIVOR bracelet on an add-a-bead bracelet chain. 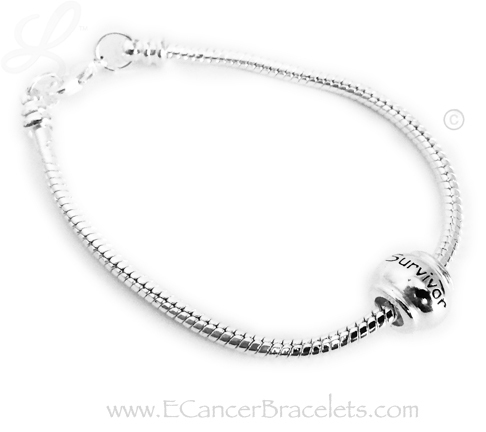 This is a large sterling silver SURVIVOR bead on a silver-plated bracelet. The end of the bracelet screws on and off so you can add additional beads yourself, in the future. The SURVIVOR bead is sterling silver. It has a large hole and is the European style bead that will fit on a Pandor*a necklace or bracelet. It is approximately 10.8mm with approximately 3.7mm hole.